After few months of waiting, at last Whatsapp has officially rolled out the Revoke feature which allows you to Unsend or Recall sent messages to recipient. 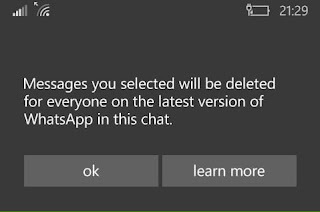 Though this feature has likely hit GBWhatsapp latest version, and now it's available on the official Whatsapp version on App stores for Android, iOS including Windows phone. In this post, I've explained everything you need to know about the latest Whatsapp revoke feature and how you can use it. Before I start, let's see the things we need to know about this latest recall feature from Whatsapp. This feature doesn't work on Symbian phones. 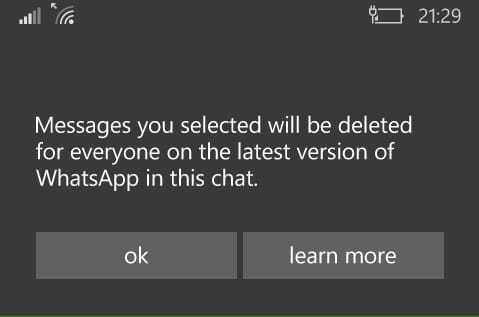 Now that we've known the important things about Whatsapp revoke feature, let's see how to make use of it. Kindly follow me along. What is the Official name for this Feature? It is called Delete for Everyone or Delete for me. 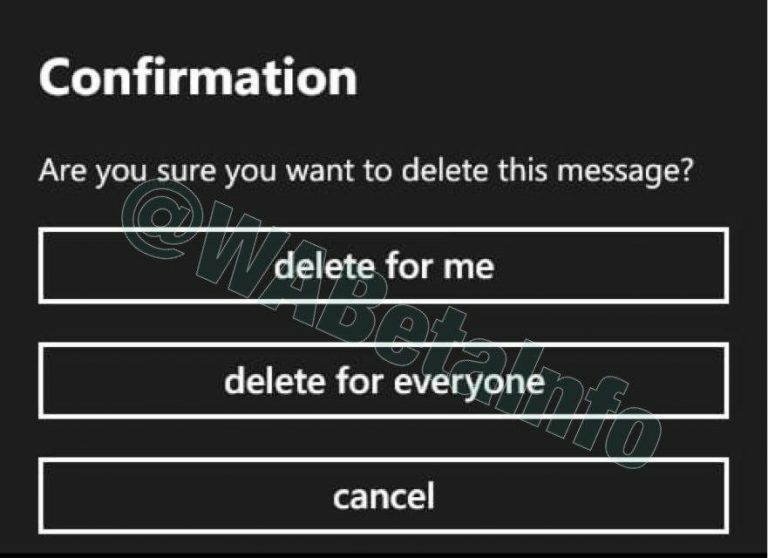 The Delete for Everyone feature works for any message type in WhatsApp: text messages, images, videos, GIFs, voice messages, contact cards, files, locations, quoted messages and status replies. Deleting messages for yourself allows you to delete your copy of messages you've sent or received from your phone. This has no effect on your recipients' chats. Your recipients will still see the messages in their chat screen. You can head over to your respective app stores to update your WhatsApp to the latest version. Note that it's been rolled out gradually to all users. Whatsapp rolled out Revoke message feature for everyone on Android, Windows, ios. Whatsapp recall messages now available for everyone on Android, Windows, ios. Whattapp just adding feature to the said app to make it the best among other social media app.great feature from them this time. I think it gonna be competative because b4 you know facebook are also going to come up with their own feature. I still don't understand this feature well, so the message won't be deleted from the recipients side, only from the sender? It can be deleted from your side and the recipient side if you choose "Delete for Everyone". 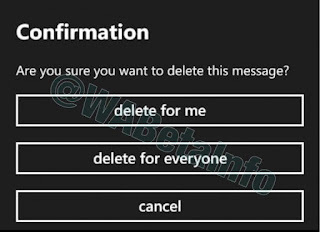 The "Delete for Me" only delete message from your side only. wow this is good,I like the idea. Good development. Can only get better. My suggestion is extending it beyond 7 mins to as long as the recipient has read it. nice innovation from the stable of WhatsApp, nice development.